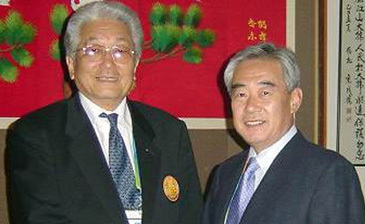 SEOUL (June 22, 2005) —- The World Taekwondo Federation will meet in Beijing, China, on June 27 with the International Taekwondo Federation led by North Korean IOC member Ung Chang to seek common ground on technical aspects of the two global Taekwondo bodies. The preparatory meeting are the result of the WTF-ITF meeting held in Lausanne, Switzerland, on June 3. At the Lausanne meeting, WTF President Chungwon Choue and ITF President Ung Chang agreed to discuss technical and administrative issues involving the two bodies. Manseek Choe, deputy secretary general of the WTF, will head a three-member WTF delegation for the Beijing meeting, while the ITF recently notified the WTF that Ri Yong-son, deputy secretary general of the ITF, will lead its delegation. The WTF will hold an Executive Council meeting in Seoul on July 20, in which the ITF issue will be high on the agenda. At the Executive Council meeting, the WTF will make its final position on its meetings with the ITF. For more information, please contact Mr. Seok-Jae Kang, director of the WTF Public Relations Division at +82-11-773-0241 (Mobile).